Guest contributor Ed Conde shares his experiences about how track days have helped his street riding. I came to riding late. I did not begin riding until I was pushing 50. I tried to make up for lost time by training and reading everything that I could find. I took the Motorcycle Safety Foundation Basic Course and the MSF Experienced Riding Course multiple times. The books and the courses definitely helped my street awareness and slow speed skills. However, I felt that these tools did not adequately prepare me for riding at speed on the street. I tried improving my street riding by working on a skill or two each time I rode. I regularly practiced threshold braking, swerving, and weaving in parking lots. All of this helped a lot, but I felt that something was missing. I found that something when I began to do track days. Observation and feedback from track professionals. Action photographs that captured my riding and body position. The ability to repeat the same corners at speed without cars or other distractions. Observation and Feedback from track professionals – There simply is no substitute for having an expert follow and observe you riding at speed. The difference between my perception of my riding and what experts saw was pretty sobering. I suspect that most of us are not as good as we think we are. Track instructors and control riders noticed that that my body position needed improvement, that I needed to relax, that my lines needed improvement, that my shifting needed work, and that my throttle/brake transitions needed to be smoother. This was a bit shocking considering how much time I had devoted to riding technique. Action photographs – Photos do not lie! I have hated some of my track photographs because they captured all of the things that I was doing wrong. Track photographers often take photos at different curves and from different vantage points. My track photos gave me great feedback on my riding, although I did not always like what I saw. The ability to repeat corners at speed – Being able to repeat the same corners at speed allowed me to see how changes affected my riding. It is impossible for me to duplicate this on the street where corners vary and hazards abound. While I practiced skills like trail braking, countersteering, downshifting, cornering lines, and body position in parking lots, everything changed at street speeds. Braking and downshifting from 30mph in a parking lot was a lot different than braking and downshifting from 65mph into a hairpin at the track. In addition, following an actual road was more realistic, for me, than following a cone course in a parking lot. Are track skills useful on the street? Folks often ask if the skills I learned at track days are transferable to the street. My answer is absolutely! Where else can you work on your riding skills safely at actual road speeds? While many skills learned at a Basic MSF Course or a “Ride Like a Pro” Course are extremely valuable, slow speed skills are often opposite to those I need at speed. While favoring the rear brake and counter weighting may improve my slow speed riding, it hinders my riding at speed. Figure 1 is a video screen shot of my first track day with Tony’s Track Days at New Hampshire Motor Speedway in 2009. At the time, I felt like I was riding well and actually passed most riders on the track. Looking at the photo now, I can see that I am almost scraping hard parts even though I am not riding fast. My upper body is leaning away from the turn and my eyes are not looking through the turn. I am pushing the bike beneath me dirt bike style which made me feel like I was really leaning. Figure 2 is a photo from 2011 taken near Bear Mountain, NY. I am trying to work on lessons learned at the track. I am no longer pushing the bike beneath me and my head is turned somewhat. The centerline of my jacket is now in line with the center of the bike. Despite some improvement, the footpeg is almost scraping at a modest lean angle. 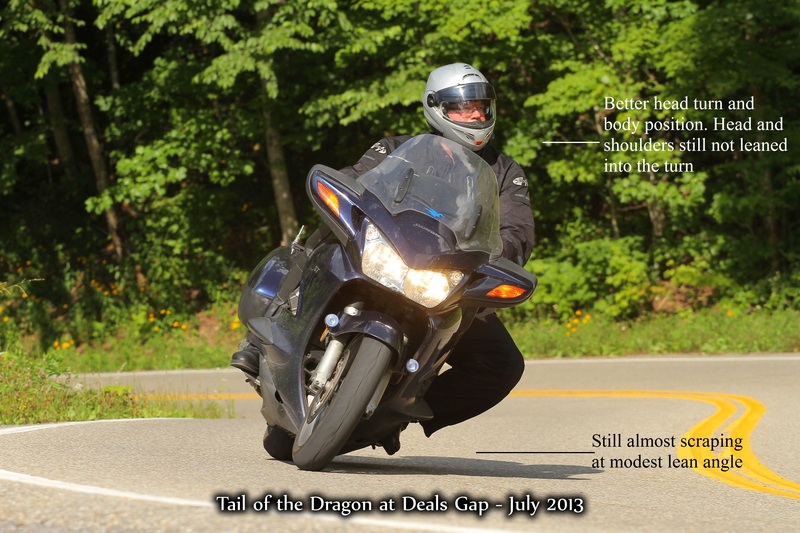 Figure 3 is a photo from 2013 at the Tail of the Dragon. I had actually been working hard on skills learned at the track before this trip. The centerline of my jacket was now inside the centerline of the bike. My head turn was much better and I was beginning to weight the inside half of the seat. This photo is a big improvement, but I was still almost scraping my left footpeg at a modest lean angle. Figure 4 is after multiple track days in 2014 and 2015. My head and shoulders are now lower and well inside the centerline of the bike. The head turn is better and almost all of my weight is on the inside half of the seat. I am not scraping despite a more pronounced lean angle. While I will not usually hang off this much on the street, I will use the better head & shoulder position and the weighting of the inside half of the seat on all my street rides. I will definitely use the skills that I have been learning at the track to ride better while conserving lean angle on the street. By keeping lean angle in reserve, I will have a safety margin if I need to tighten up my line during a curve. I will continue to attend parking lot courses because many fundamentals are learned best there. I will continue to practice slow speed skills with counter weighting, head turn, and dragging the rear brake. I will continue honing my street awareness skills and ability to anticipate trouble. However, I will not neglect training at speed with the help of professionals. I still have a lot to learn, but look forward to the challenge. 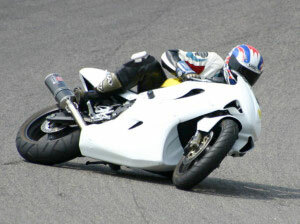 Editor Ken: Even if you ride a cruiser, tourer, ADV bike, or whatever, there is a track day for you. Non-Sportbike Track Days are available, as well as “traditional”sportbike track days . Either type of track day allows street riders to advance their skills in a safer environment than the street. Share your comments below. Note that comments from those who have not commented before need approval before they are posted, so be patient, they will be published. Ed Conde is an administrator and webmaster for the group New England Riders (NER). He enjoys finding the best motorcycle roads, views, and restaurants and posting them to the NER Best of the Northeast website. His real job is running the federal government’s alcohol countermeasures laboratory and testifying at impaired driving cases. Ed enjoys learning about riding and marvels at the skills of top racers, motocrossers, and trials riders. He and his wife Debra ride all over the Northeast on their motorcycles. Smooth Shifting is a hallmark of riding proficiency. Shifting is a significant part of the riding experience. It is satisfying to smoothly click through the gears with a barely detectable interruption in forward drive as your hands and foot perform seamlessly with perfect timing and minimal effort. Shifting gears is a skill that, once learned, becomes part of a rider’s muscle memory and is then pretty much forgotten about. But, there is much more to shifting than simply selecting the next higher or lower gear. A truly proficient rider understands the benefits of perfectly timed shifts and knows how to use the clutch as a tool for refining control. New riders often struggle to coordinate the clutch and shift lever, but most get past the difficulties fairly quickly. 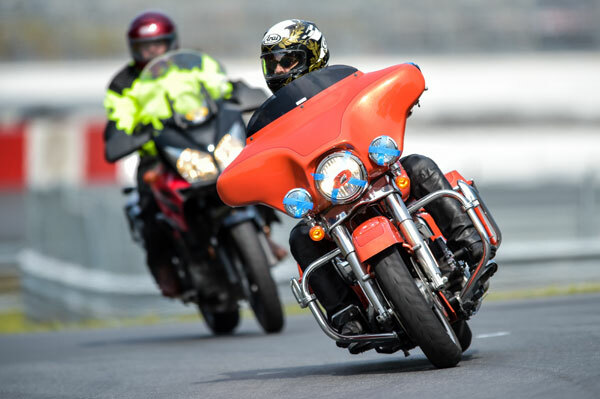 MSF Basic RideCourse students often fail because of more critical issues, such as braking or cornering problems. Still, poor shifting skill can be a problem. Lousy coordination and timing leads to abrupt gear transitions and lurching that can compromise control and traction. Not only does this cause control problems, but it also really pisses off passengers. To become proficient, you must pay attention to refining shifting skill. Quick shifting allows the revs to drop only slightly between the time you squeeze the clutch, shift and then release the clutch. These rapid upshifts provide seamless power delivery. To upshift quickly, roll off the throttle only slightly and squeeze the lever only enough to disengage the clutch while shifting the transmission into the higher gear with a quick flick. Preload the shift lever for speedy lever action. As soon as the transmission is in the higher gear, immediately release the clutch and roll on the throttle. Done correctly, the quick shift technique should take about one second and forward drive should remain steady. Precise timing of the clutch and throttle allows smooth clutchless upshifts and throttle-blipping downshifts. For the most rapid upshifts (not counting electronic shifters) you can eliminate the clutch from the upshifting process altogether. Yes, you can upshift without using the clutch! A well-timed, rapid throttle closing, in combination with a ready left foot can upshift most modern transmissions with buttery smoothness that maintains forward drive with virtually no chassis pitch. Clutchless upshifting is done by closing the throttle as you instantaneously shift to the next higher gear and then immediately open the throttle. Each step is done simultaneously, with the entire technique taking less than a second. Done correctly, the machine will experience no added wear and tear. Try it. This is what can happen if you release the clutch too quickly after a downshift. Good downshifting is arguably more important than upshifting for maintaining control, because poor timing and abrupt clutch release can cause excessive engine braking that may lead to a dangerous rear tire skid. Read this post warning what can happen if you select a gear that is too low. The trick is to eeeeaaaaase out the clutch after you downshift to allow the engine to “catch up” to the road speed. Just be sure to time your downshifts. Clicking into the next lowest gear too early, before the bike has slowed can result in a skid. To prevent this, reduce speed before downshifting. Manufacturers understand that miscued downshifts are a hazard and install slipper clutches on many high performance motorcycles to reduce the danger of locking the rear wheel during a high rpm downshift. Those of us who don’t have slipper clutches just need to learn to ease the clutch out gradually…or blip the throttle. Throttle blipping helps you to match the engine RPM with the road speed during the downshift. I already wrote a whole blog post on throttle blipping. Please read it so I don’t have to repeat myself. What tricks or techniques do you use to become a proficient shifter? Buy Ken’s new book, “Motorcycling the Right Way”. Read about strategies and techniques that increase safety, confidence and enjoyment. Chuck Boucher ripping around turn 9 at NHMS. Chuck Boucher is the latest RITZ guest blog contributor. 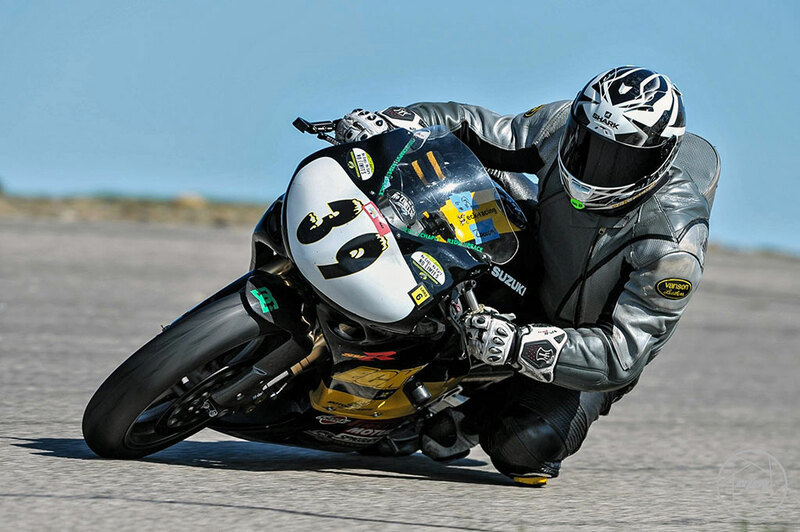 Chuck is an expert level roadracer with the Loudon Roadracing Series and is an instructor for Tony’s Track Days. You can read Chuck’s biography here. 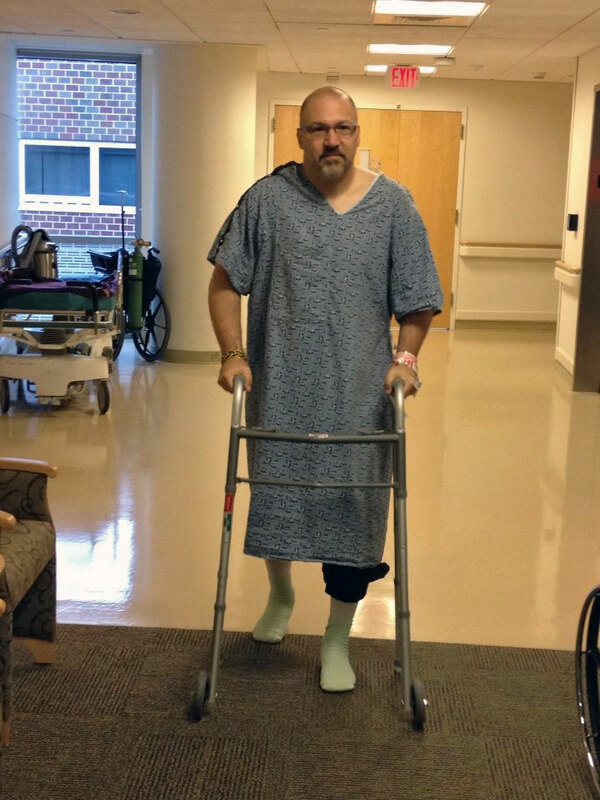 Chuck recently had a racing mishap that landed him in the hospital with a fractured pelvis and a few other less serious, yet painful injuries. Chuck knows exactly what he did wrong and wanted to share his cautionary tale with you to hopefully prevent you from experiencing the same agony. Let’s see what Chuck has to say. As I sit here, recovering from a recent racing incident, I reflect on the reason I’m in need of crutches and pain killers. My little mishap occurred on the first lap of the first practice session during a Loudon Road Race Series (LRRS) event at New Hampshire Motor Speedway. The lap was typical of any other I had run during the past six years as an LRRS roadracer. Unfortunately, this time around, I found a false neutral and the absence of any engine braking. This is what can happen if you miss a shift and then downshift instead of upshift. In case you don’t know, a false neutral is when the motorcycle fails to completely engage a gear. This results in zero engine braking and an unexpected sense of coasting that actually feels more like acceleration, just when you want to be slowing down. Yikes! Downshifting at this time is usually a bad idea, because you risk momentarily skidding the rear tire if the gear is too low for the bike’s speed when the gears finally do engage. Instead, the best way to handle this situation is to shift UP into the next higher gear so you don’t end up in too low a gear for the speed you are traveling. A too low gear can easily cause the rear tire to lose traction. Do this while leaned and you have a bad result. Unfortunately, with the turn one apex fast approaching, my mind said click the shifter up (my race bike is GP shift, which means clicking the lever upward causes a downshift). I knew my mistake the moment I let the clutch lever out. The rear wheel skipped a few times then locked, sliding the rear end of the bike sideways. Then the tires regained grip and catapulted me over the high-side. Understand that there are times on the street or track when you have fractions of a second to make decisions that could cost you dearly. These decisions can go well, or not, based on previous experience. My false neutral took me completely by surprise and I acted wrong. You can be sure it won’t happen again. If you’ve never experienced a missed downshift and a false neutral, count yourself lucky. However, if it does happen to you, take my advise and always shift UP! You may not have the engine braking you desire and you’ll be in too high of a gear, but at least you won’t likely high side. Stuff can happen to anyone, at any time. Whether it is a car at an intersection, a missed downshift or a too fast corner entry. How you react and what you do in that brief moment can be the difference between a close call and taking a ride in an ambulance strapped to a back board. My message to you is to always keep your skills sharp to avoid a worst-case scenario. 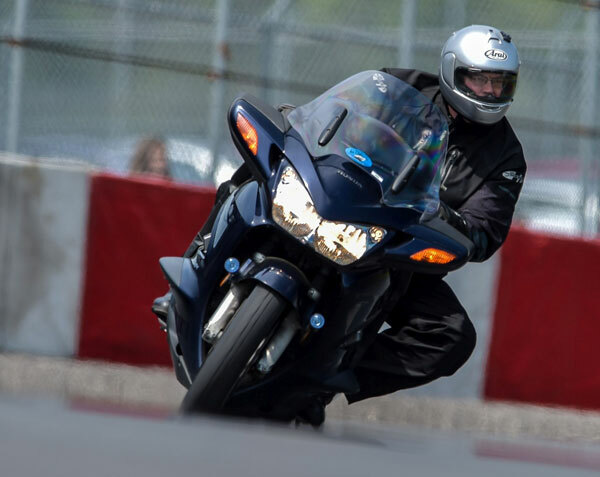 Consider taking the Motorcycle Safety Foundation Experienced Rider Course (BRC 2) and participating in a track day to acquire advanced braking and cornering skills. Thanks for sharing what you learned, Chuck. Heal up fast! Editor: Someone asked about whether a slipper clutch would have saved the day. I do believe a slipper would have re-engaged the power gradually enough to perhaps prevent the severe loss of grip. While a slipper clutch can do wonders, the actual clutch design and how sensitive it’s adjusted will affect whether or not the slipper re-engages the power slowly enough. This will still cause the rear to slide, just not nearly as much. Do you have a similar experience to share? Make a comment below. Little attention is paid to shifting. I suppose it’s understandable, since shifting quickly becomes an unconscious, mechanical procedure. Skillful shifting increases the likelihood of tapping into the illusive Zone. Think about how satisfying it is to smoothly click through the gears with a barely detectable interruption in forward drive. Your hands and foot perform flawlessly with perfect timing and minimal effort. Nirvana! It’s not only motorcycle riders who experience the joys of manual shifting. People who drive cars with manual transmissions know how shifting gears “involves” the driver. However, with only a small percentage of autos in the US available with a stick shift, manual shifting has become a lost art. This means that some younger people thinking about becoming motorcyclists can be anxious about learning manual shifting. 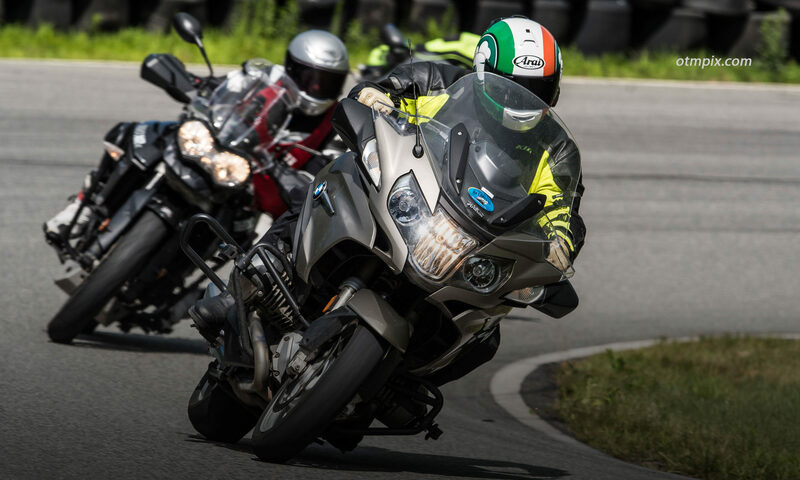 Manufacturers need to provide machines with automatic transmissions because manual transmissions intimidate potential new riders who see the clutch and shifter as a barrier to learning to ride. And with shockingly few new riders entering motorcycling, it is important to entice them any way possible. Which is why it makes sense to offer full-sized automatic models (not a scooter, thank you very much) to a potential new rider who is inexperienced in manual shifting. It just might encourage them to make the decision to enter the world of motorcycling. Shifting is not that hard to learn…really. Motorcyclists have not needed to choose whether to purchase a manual or automatic transmission, because all motorcycles came with a clutch and gearshift lever. However, manufacturers are now offering models with automatic transmissions, such as the Honda VFR 1200. Past examples of automatic motorcycles never sold well, but that was a long time ago, so why would manufacturers do this? To help motorcycling grow (or even maintain) its numbers, but also because the technology has improved enough to make DCT auto transmissions viable for not both experienced and new riders alike. Shifting is Fun…if done well. The fact is that of all the skills a new rider must learn, learning to shift gears is one of the least problematic. The newbie student in a MSF Basic RiderCourse learns to shift during the first couple of hours of their introductory day of riding. Sure, some people struggle with the coordination of clutching and shifting, but most get past the difficulties and go on to pass the course. The reasons students fail the course is because of more critical issues, such as braking or cornering problems, but not shifting. Shifting is your least worry when riding a motorcycle. There are a ton more important aspects of riding that should deter borderline new riders from riding, such as surviving riding in traffic, being able to make a corner at speed, stopping before colliding with a Buick, or losing traction on a sandy road. But, shifting really shouldn’t be one of them. However, the fact that shifting can be a barrier that stops potential new riders from taking the plunge means that manual transmissions could become more and more rare. On one hand, the sport desperately needs a new generation of riders to replenish the ranks. On the other hand, I would be very sad to see the manual transmission go the way of the kick-starter. Do you think this is possible?